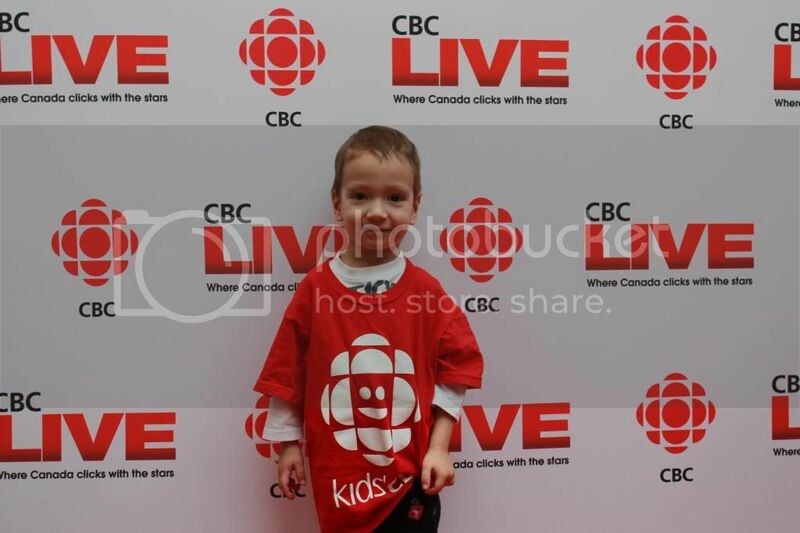 Last month we attended CBC Live on the Road in Toronto to meet the CBC stars of news, radio, sports and television. It was exciting opportunity to meet the guys from TV in person. 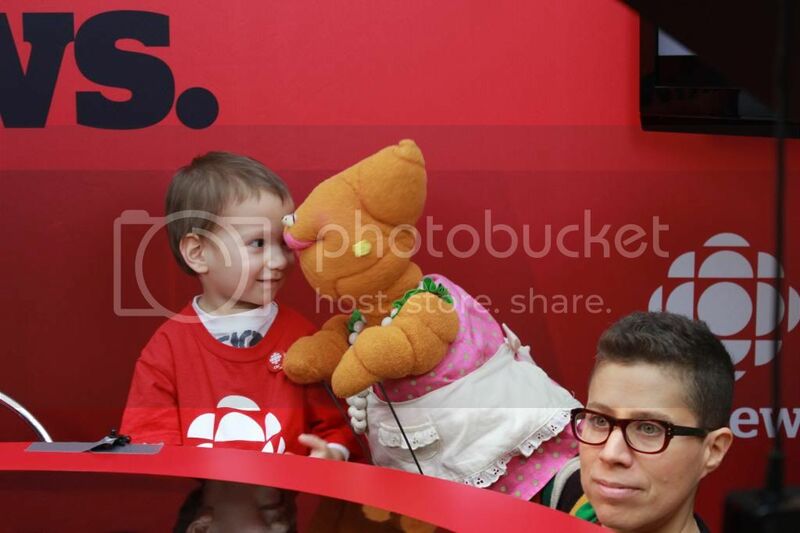 And since Teddy is a big fan of Kids’ CBC and CBC News Toronto at 5, we told him he was going to meet MammaYamma and Patty first and then his old friends Anne-Marie Mediwake and Dwight Drummond. 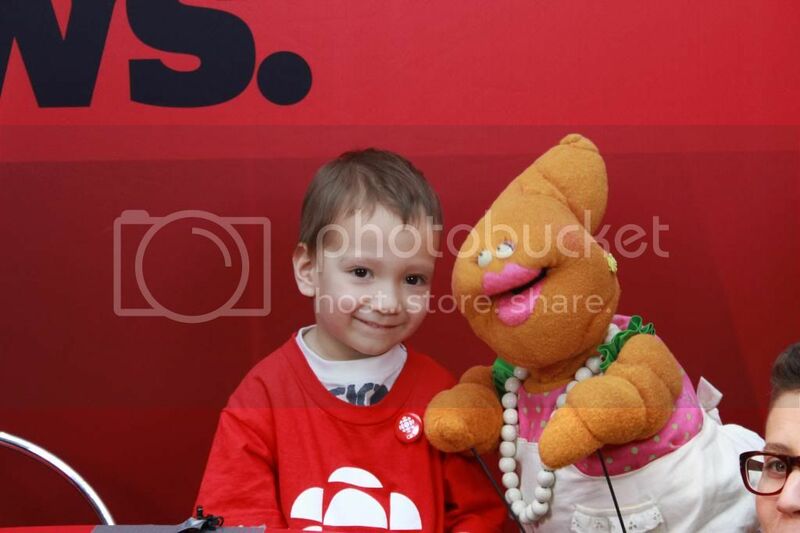 When we arrived to Sherway Gardens mall at noon that day it was already filled with fans waiting to meet CBC celebrities, the line for Television Stars was already formed two hours in advance. 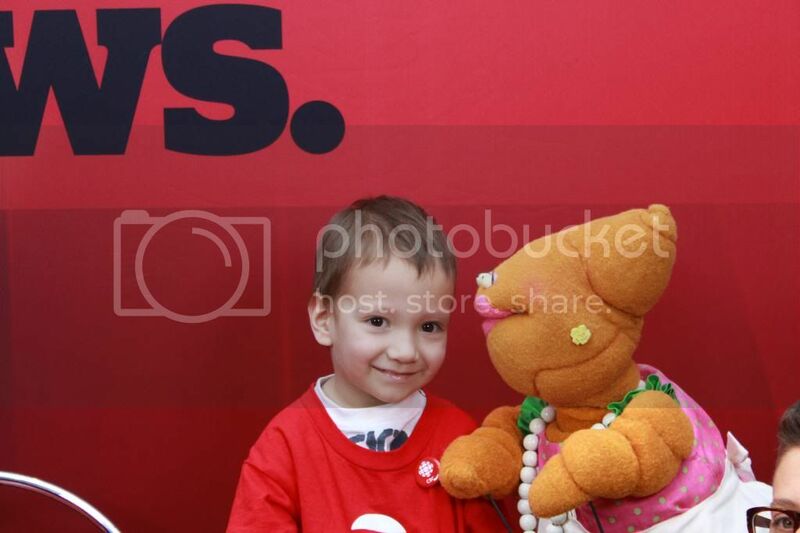 First Teddy was excited to play and pose with MammaYamma and Patty on the Pop-Up Red Carpet, then we went to sign autographs and take photos with Stars of CBC Radio and News including Dwight Drummond, Anne-Marie Mediwake, Heather Hiscox, Reshmi Nair, Tom Power, Nora Young, Terry O'Reilly, Claire Martin (Weather Lady). 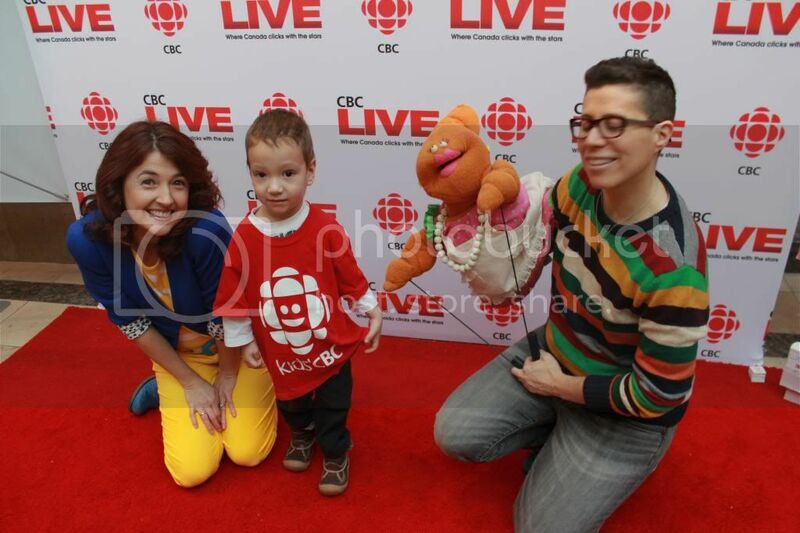 It was nice to talk to them too as they are all quite friendly, funny and easy-going and named Teddy a young CBC fan, which was cute, he really is one of them. 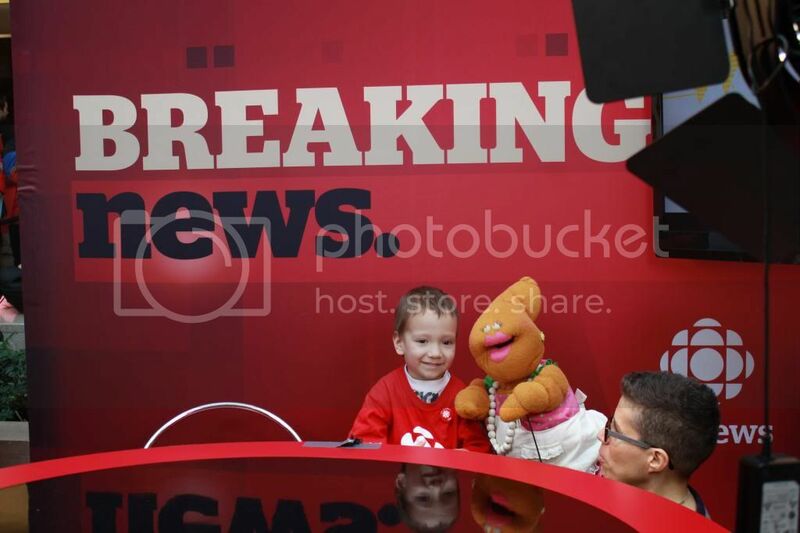 After meeting with CBC News Stars Teddy decided to try himself as a newscaster reporting Breaking News, and since he couldn’t read the news at the CBC anchor desk, MammaYamma helped him with a report. Then Teddy presented his final addition to the news - ABC song. So it was really great day filled with activities like meeting TV celebrities and being a star even for a while. 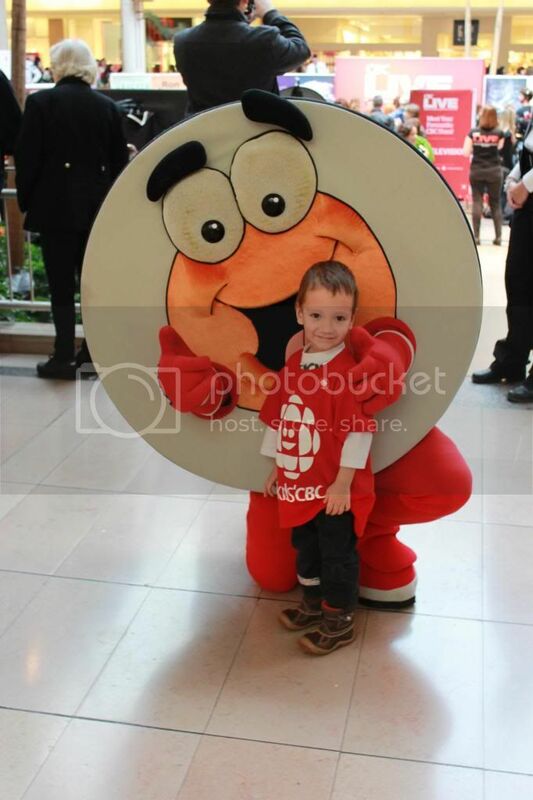 We did not stay for the Stars of CBC Television autograph signings because line up was quite long and waiting with a toddler was not a good idea, we only spotted Mr.D and took our picture with Peter Puck, our final shots.